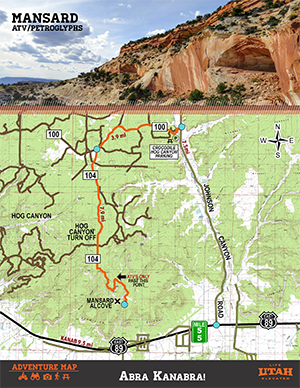 Barracks Trail is located 9 miles from Glendale boasting scenic views of Zion National Park and the White Cliffs. The route consists mainly of sand with some sandstone. There are several river crossings of the East Fork of the Virgin River. 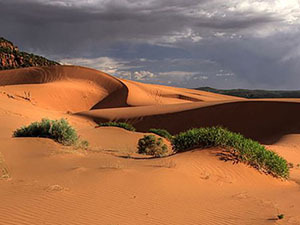 Coral Pink Sand Dunes State Park is located 24 miles from Glendale encompassing 3,730 acres of Kane County. 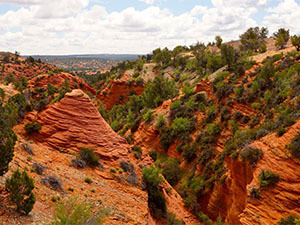 Coral-colored dunes are surrounded by red sandstone cliffs and blue skies. Juniper, pinyon pine, a vast array of desert wildflowers and plants dot the landscape of the lower elevations. While towering ponderosa pine trees are found in the higher elevations. 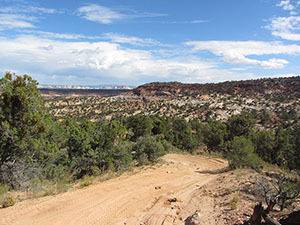 Hundreds of miles of trails are also located on BLM land adjacent to the park. 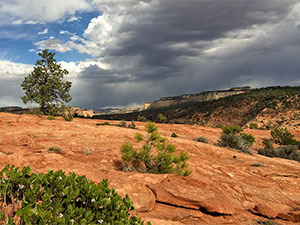 Dixie National Forest is located 9 miles from Glendale surrounded by several National Parks and Monuments. 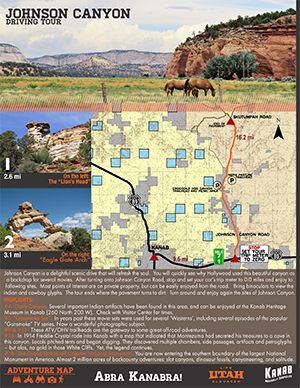 The Markagunt Trail System offers outstanding views of the contrasting forested plateaus and the lower red rock canyons. The landscape of the plateau is influenced by ancient volcanic activity with volcanic peaks and rough lava fields. The trails will take you through mixed conifer forests, aspen groves and wide open meadows. Grand Staircase – Escalante National Monument is located 9 miles from Glendale encompassing nearly 1.9-million acres of colorful sandstone cliffs soaring above narrow slot canyons, picturesque washes and seemingly endless slickrock, prehistoric village sites and abandoned old Western movie sets, among many other treasures. 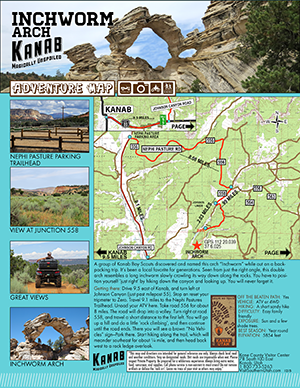 With hundreds of miles of trails to explore, the Grand Staircase offers unparalleled opportunities to experience the rugged, vastly different landscapes and solitude of Kane County. Hog Canyon is located 23 miles from Glendale offering a nice mix of trails that range from wide and sandy to challenging rock crawls. The area is very scenic and offers several vistas with panoramic views of surrounding canyons, plateaus and ravines. 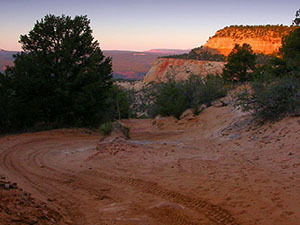 The trail gently climbs to the top of the mesa where it splits in three directions. 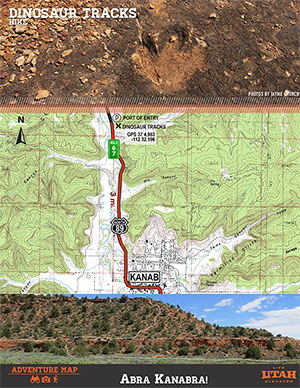 You can head west towards the radio tower where you will have views overlooking Kanab or you can start the loop by continuing south or heading east. Peekaboo Trail is located 17 miles from Glendale traveling mainly on sand through a desert landscape of junipers, pinyons, yuccas and cacti. 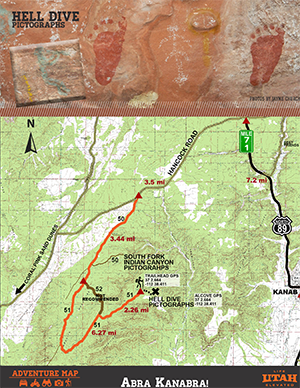 This trail system ties into nearby Hog Canyon and Johnson Canyon. Red Canyon or as it is called by the locals PeekaBoo is a slot canyon that is usually dry and only .35 miles long and well worth the visit. 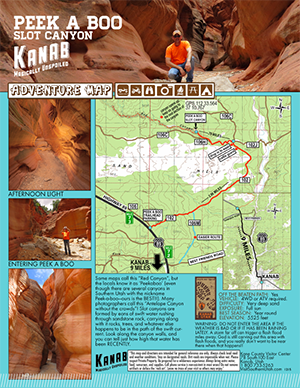 Like the similarly named Red Cave and Red Hollow, Red Canyon forms a colorful series of narrows through the deep red sandstone rock of the Glendale Bench. 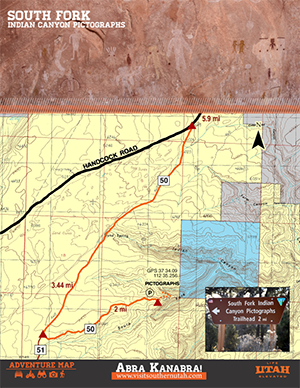 Poverty Trail is located 17 miles from Glendale roughly 3 miles east of the Zion National Park border. Poverty Trail was originally an old cattle route turned dirt road from Route 9 south into BLM land. The trail is mostly sand with some sandstone. 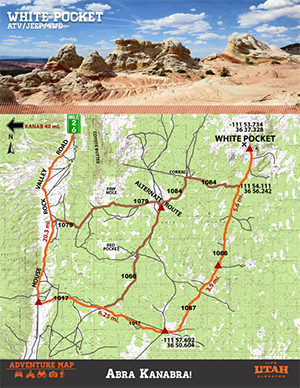 You will drive next to the White Cliffs and down to the East Fork of the Virgin River. There are several vistas to view into the vast rugged landscape of Zion National Park. 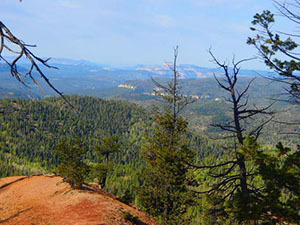 Strawberry Point Trail is located 22 miles from Glendale on beautiful Cedar Mountain. 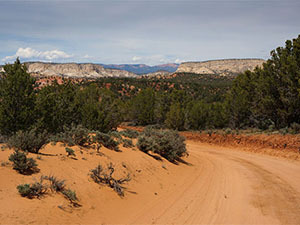 Take Strawberry Point Drive out to Strawberry Point for spectacular views of forested land, red rock formations, and grand views to the south of Zion National Park from the top of the Virgin River Rim. 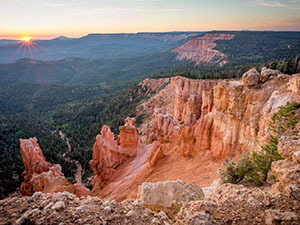 Look for the amphitheater with interesting hoodoos. Locals call the amphitheater the "Cats Den” because one prominent hoodoo at the bottom looks like a cat. Strawberry Point Trail is part of the much larger Markagunt Trail System.